Strength Crate is a fitness subscription that sends products designed to enhance your workout. Their goal is to help you train on your terms and to reduce excuses! This review is of the G.O.A.T. Crate, $79.95 a month, box. 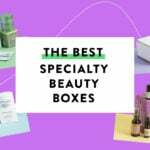 COUPON: Save 10% off your first box with code ADDICTION10! The Products: “Products ranging from apparel, training aids, supplements, and high-value equipment to take you to the next level in whatever you are training.” Products are sourced in the USA. Good to Know: Strength Crate subscribers also get access to Strength Crate WOD, Strength Crate’s app that provides a different “Workout Of the Day (WOD)” that you can do anywhere you have access to equipment. Check out all of our Strength Crate reviews and the Fitness Subscription Box Directory! The information card this month included additional information on some of the items and a workout. There is usually a bit of bonus information like this workout, or a recipe, or something of that nature. I think this item is the reason Strength Crate didn’t come in its usual box this month. That’s fine by me, though. I am more interested in getting useful work out items than in getting a box with a nice logo on it. This helps support the lower back and helps you achieve a full range of motion during floor ab exercises. It is padded for comfort and anyone can use it (one size fits all). Now that I have lost all the weight I want to lose, I want to work on muscle definition, so this will come in handy. I’ll be honest, this scares me a little. It comes with warnings like don’t use for more than 8 weeks without a month off and not to take it if you have either high or low blood pressure. This has caffeine and some B vitamins as well as synephrine (which may increase blood pressure), rauwolscine (a central nervous system stimulant), and hordenine (may also stimulate the CNS and increase blood pressure, though the animal studies were not done on oral administration routes). Anyway, if you are going to use this, I would encourage you to save it for strength-training-only days and to do some reading on the components to make sure it’ll be safe for you. I am not sure what I think of this. It is so big on me (I wear a size 2) that it is not useful for wearing during exercise (too much fabric gets in the way and trips me up). It does seem well-made and it is soft (not weather-proof, though). I will probably pass it on to someone else for whom it will work better. This is a beeswax-based hand balm designed to prevent skin tears during workouts. It can also soothe already irritated hands (it’s naturally antibacterial). I will probably stick to using it after workouts because I don’t want slippery hands when lifting weights (usually I wear gloves). This is a beeswax-based alternative to products like Bengay. Actually, I’ve received it before in another subscription box. Now that I am getting back into strength training after losing weight, this is super useful to have around. Thanks to subscription boxes, I am never going to have to actually buy balms or rubs for sore muscles. Verdict: I calculated a value of almost $134 for the December Strength Crate. That is a really good value. Now, not all of the items are useful for me but I am excited about the ab mat and Wodbrand balm and rub and I can pass the other items along to people who will appreciate them. 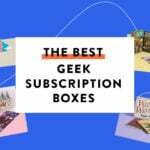 If you are thinking about subscribing to this box, I can tell you that the value is always excellent. To see if the box contents will be a good fit for you, I suggest going back through past reviews to see the types of items you will receive. What did you think of the December Strength Crate box?